The slim Olfa Standard Duty Snap-Off Knife has a snap-fit closure, so you can open and close the knife with just firm finger pressure. Snapping the blade is easy, too. The cutter has a built-in blade snapper tool — get a new sharp edge with every snap. The 9 mm snap-off blade handles thin materials with finesse and accuracy. 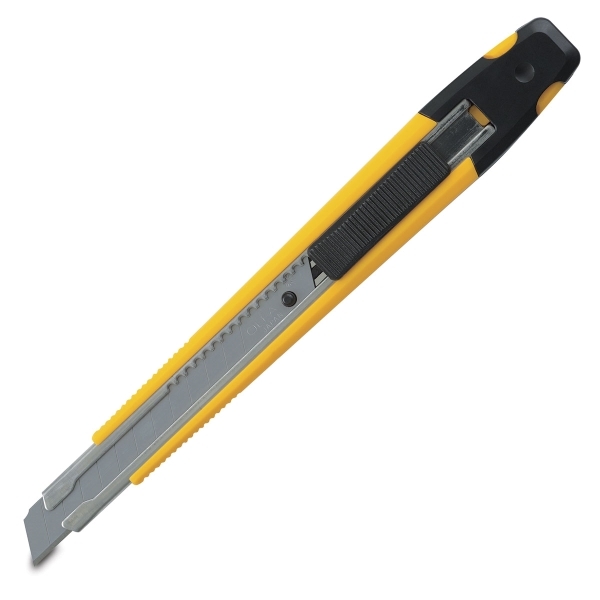 Use the multipurpose blade to cut through packaging, shrink wrap, vinyl, window film, tape, wallpaper, caulk, foam board, cardboard, and other materials.